The typical Nigerian Christian can relate to this piece. 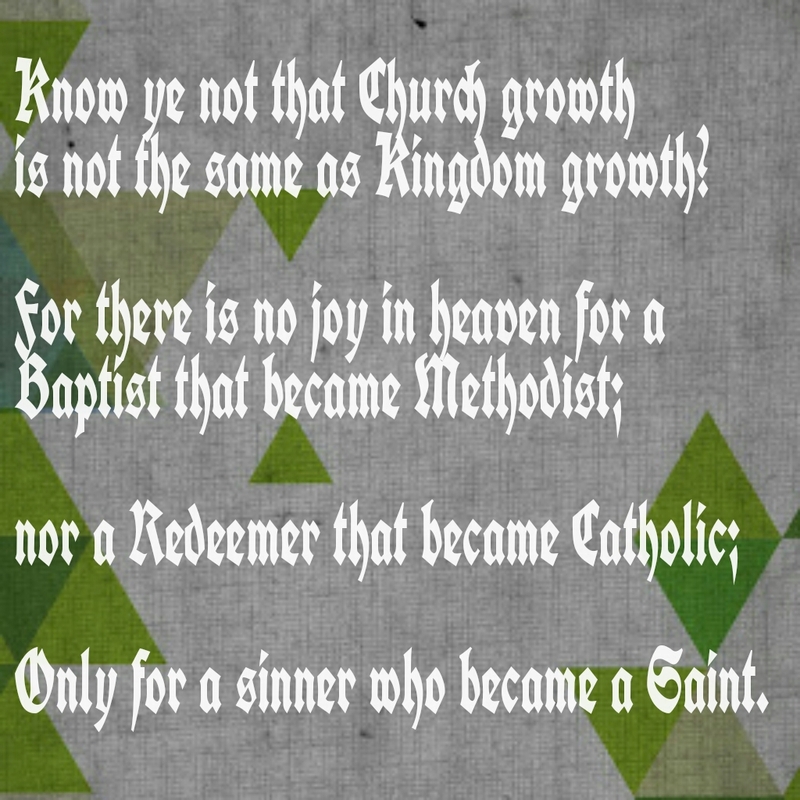 Know ye not that Church growth is not the same as Kingdom growth? Only for a sinner who became a Saint. Yes, the above (paraphased) was said by the minister in my church on Sunday. It got me thinking about the big picture. How we are excited when we talk about how our church has grown rapidly to 1,000 members whereas further analysis shows that 95% of that number moved from a different church. Am I saying moving churches is bad? No. But Christians must look at a bigger picture … Are we really growing the Kingdom of God?